Every year home fires cause over $7 billion of damage in about 366,000 homes in the United States. Fire retardants, chemicals designed to reduce the flammability of commercial and consumer products, have been used for decades in the United States and the world. While fire retardants do minimize the risk of fire in many consumer goods, some classes of fire retardants are harmful to the environment and human health. Inorganic fire retardants are often found in paint, adhesive, wire and cables, and fabric coatings. A variety of inorganic compounds are used, but the most common are hydrated aluminum and magnesium oxide, and they are often combined with the other fire retardant classes. Inorganic fire retardants slow down the process of decomposition and release of flammable gases. In the past decade, several major research studies have concluded most fire retardants, especially halogenated fire retardants and organ phosphorus fire retardants, are associated with many environmental and human health concerns. Halogenated (also known as organohalogne) flame retardants contain bromine or chlorine bonded to a carbon molecule. Organophosphorous fire retardants include a phosphorus atom bonded to a carbon molecule. Substances with these chemical bonds are considered Persistent Organic Pollutants (POPs). POPs have been shown to present significant health risks to both humans and the environment. Unlike other chemicals, POPs do not break down into safer chemicals in the environment and remain intact and potentially harmful for many years. POPs are widely distributed throughout the world in soil, air, and water due to natural environmental cycles. Since POPs are found throughout the natural environment, they accumulate in the adipose (fat) tissue of living organisms, including humans and animals. Many humans and animals travel all over the world unknowingly spreading POPs everywhere they go into the environment. Researchers have found POPs as far away as the Artic Circle. Fire retardants enjoy widespread use. One study published in Environmental Science & Technology found compounds thought to be no longer used in the United States due to health concerns are still prevalent in crib mattresses, changing table pads, and car seats. Researchers at the University of California at Berkeley discovered that with each tenfold increase of brominated fire retardants in a mother's blood, there was an associated 115-gram decrease in her baby's birth weight. 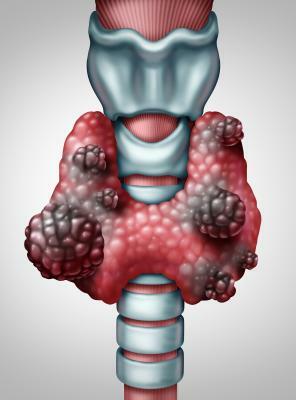 Thyroid cancer has increased over 270% in the past 20 years and is one of the ten most common cancers in the United States. Duke University researchers have found that people with high levels of brominated fire retardant in their house dust are five times more likely to develop thyroid cancer. According to several key animal studies, certain classes of fire retardants, like brominated fire retardants, can act as endocrine-disrupting compounds and interfere with normal thyroid functions. In 1977, chlorinated Tris, a popular fire retardant used in children's pajamas, was identified as a carcinogen and barred from use. However, chlorinated Tris is still commonly found without warning labels in couch cushions and nursing pillows throughout the United States. The US Environmental Protection Agency (EPA) has been working with polybrominated diphenyl ethers (PBDEs) manufacturers to voluntarily phase out the use the use of PBDEs since 2004. PBDEs have been linked to lower IQ and delayed mental and physical development in children. Unfortunately, new fire retardants with similar chemical structures to PBDEs have been entering the market in recent years with unknown health risks. Since the 1970s, fire retardants have been added to various commercial and consumer products during the manufacturing process or sprayed onto the product afterward. Due to their application process, fire retardants routinely escape as vapor or airborne particles that have a tendency to stick to surfaces or settle as dust in the environment. Once released, fire retardants can build up in the soil, water, and air. Scientists have found high levels of PBDEs in sperm whales and other arctic animals that spend their time thousands of miles away from any human sources suggesting that PBDEs and fire retardants can travel by water and air currents. In the 2004 National Health and Nutrition Examination Survey conducted by the Centers for Disease Control and Prevent (CDC), the CDC found 97% of Americans had detectable levels of fire retardants in their blood, and those aged between 12 and 19 had the highest levels. Wash your hands routinely throughout the day because fire retardants are commonly found on the hands and can be ingested during hand to mouth contact. Reduce dust in the home by using a vacuum with a HEPA filter and wet mop. Avoid PBDE-treated foam. Foam that is labeled as "California TB 117" is likely to contain harmful fire retardants like PBDEs. Limit the number of carpets and drapery in your home as the fabric was probably treated with a fire retardant. Choose wooden furniture or furniture containing polyester, down, wool, or cotton as they are usually not treated with fire retardants. Prevent kids from placing electronic devices, cell phones and remote controls, in their mouths because electronics are often still treated with PBDEs and other fire retardants. Seek products, such as furniture, that is manufactured without flame retardants. However, keep in mind labeling isn't mandatory, so you not know for sure whether the products are free of these chemicals unless they are labeled flame retardant-free. Fire retardants, also known as flame retardants, are a chemical substance used in commercial and consumer products, like furniture, building materials, and electronics, to meet the flammability standards put forth by the Consumer Product Safety Commission. The federal flammability standards were first created in the US Flammable Fabrics Act in 1953. This Act regulated the manufacture of highly flammable clothing after a series of horrific deaths of several children wearing rayon in the 1940s. The Act was modified in 1967 to include furniture, foam, plastic, and other materials used for clothing and conventional building materials and furnishings. 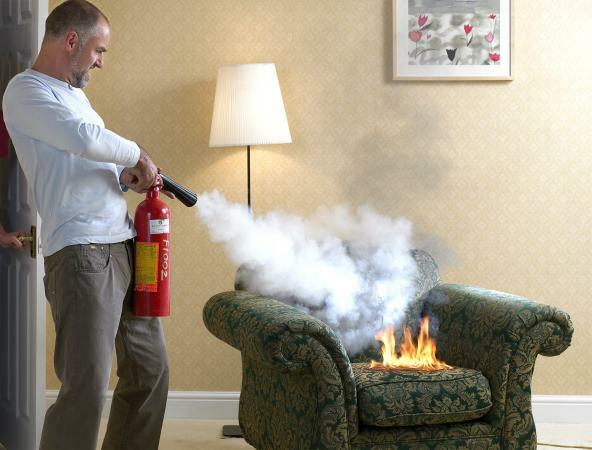 Tobacco companies under pressure in the 1980s to develop a "fire-safe" cigarette pushed the use of fire retardants, especially in furniture because smoldering cigarettes is one of the leading causes of house fires. Instead of spending money to develop a new type of cigarette, tobacco company executives and lobbyists organized the National Association of State Fire Marshalls and pushed for flame-retardant furniture. Today, fire retardants are commonly found in electronics, building insulation, polyurethane foam, and hundreds of products throughout your house. Fire retardants are commonly used throughout the world in commercial and consumer products to reduce the flammability of products, and avoiding exposure is impossible. To reduce your chances of developing any adverse health effects related to fire retardants, take simple steps to limit your exposure to toxic fire retardants.